Internet-connected smart devices with HDTV video have conquered the mainstream consumer electronics market. From TVs to tablets, mobile phones to laptops, consumers have come to expect high definition, cloud-accessible content as a matter-of-course for their entertainment and communication platforms. For the past decade, IP surveillance cameras have provided access to these advanced technologies for the security industry. Right now, 4K resolution is set to take off in both security and home entertainment. Yet, the majority of surveillance customers are relying on systems from the analog past. The reasons for this are understandable. IP has traditionally been used for enterprise applications, and 60% of all security installations are sold to small systems customers. To installers, analog has provided a familiar, low-cost and user-friendly option for small businesses with tight budgets and little experience. Yet, as these same customers become more accustomed to the crisp video and intelligent apps offered by the gadgets in their living rooms, they will start demanding the same features in the systems protecting their businesses. The good news is that some very attractive IP solutions for small systems have become available in recent years. In fact, because IP cameras are scalable and not locked into the 4-8-16 groupings forced by analog systems, installers have greater flexibility to design specific packages for their customers. The intelligent chipset inside IP cameras is an installer’s best friend. Essentially, the chipset turns the camera into a computer itself. With the ability to host edge-based recording, the IP cameras become independent recording devices with access to on-board analytics like cross-line and motion detection and tampering alerts. Installers can now select the precise storage and camera combinations that best fit their customers’ needs. 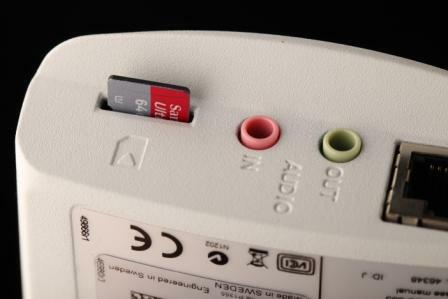 Just like consumer cameras, IP surveillance cameras can record directly on removable SD cards inside the unit itself. The price of SD storage is falling rapidly, and 32GB cards, which can store days and weeks of video, can be purchased for as little as $50. SD Cards keep network bandwidth consumption low, and, once installed, no computer is needed to keep the cameras running. More cameras require more storage, but NAS devices retain many of the benefits of the SD card option. NAS are standalone storage units that can house terabytes of data from multiple cameras. These units connect directly into the network and create a self-contained system that runs off of the cameras’ on-board intelligence. Furthermore, unlike their DVR predecessors, NAS units can accommodate new additions on a camera by camera basis, so small business owners can build out their security systems as they see fit. With hosted video, small businesses can pay a monthly fee—much like a cell phone subscription—for off-site storage with on-demand cloud access from anywhere. This gives customer the option to add cameras without increasing their investment in storage hardware. It also provides a simple way to tie video verification into alarm monitoring. Customers can call up real-time video for any store in their chain directly on their smartphone or laptop, or have the central station do the monitoring. Hosted video can also serve as a cost-effective backup for existing onsite storage in case of accident or failure. 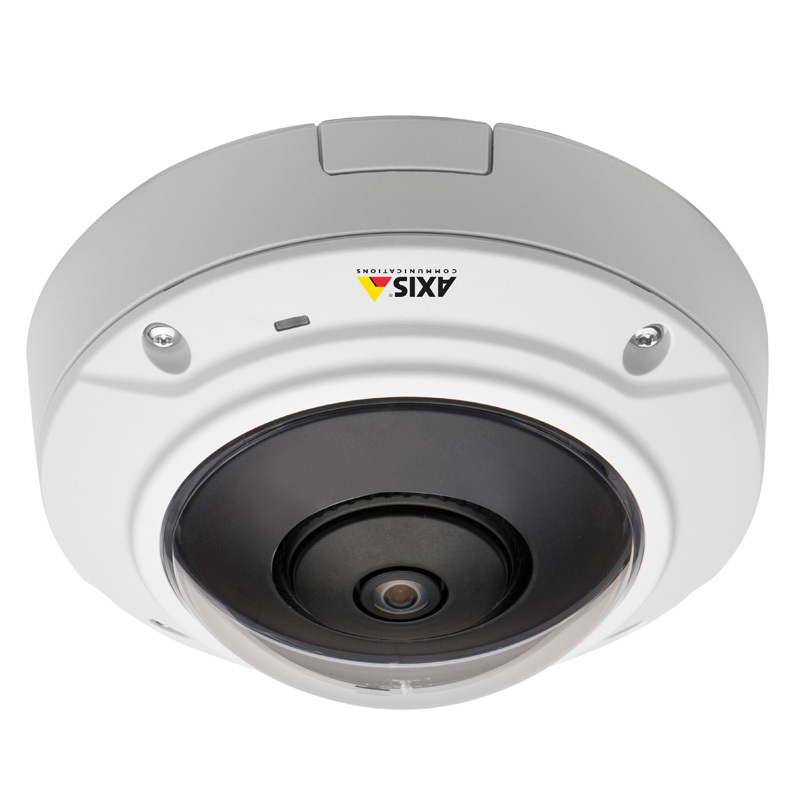 IP camera systems are more accessible than ever for small systems customers. Prices for IP camera- and-storage packages are becoming comparable to analog/DVR set-ups, and advances in software at the edge are making systems even more intuitive and easy to use for newcomers. For customers with money already invested in analog systems, network video encoders offer instant upgrades to many of the benefits of IP video, as well as a migration path to an all-IP system in the future. Small systems sell in high volumes, and as customers’ expectations continue to evolve, IP surveillance presents a great business opportunity for any installer. For those looking for a hands-on test of IP surveillance for small systems, contact your local ADI branch to try out their Axis Camera Companion demonstration pods. Fredrik Nilsson is the General Manager for Axis Communications with responsibility for the company’s operations in North America since 2003. He is a trusted industry speaker and published author, has written many industry articles, has appeared on numerous television shows, and contributes to the ADI Blog as a guest blogger. All opinions or commentary in his posts are his own, and may or may not express the opinions of ADI.